At Searles in Hunstanton we know your children are probably zipping around like bees, full of energy now the summer holidays are here. But, who was responsible for sourcing the fun? Our parents. We know you’re already wracking your brains, trying to mentally fill the holidays for your children. Don’t fret, at Searles we have it sorted. We have heaps of family friendly events and activities going on this summer. The Great British Holiday isn’t returning, it’s returned. Yes, it’s good to experience other cultures, and see what the world has to offer – but travelling abroad will never be as cost effective as a British holiday and without hassle. Despite sometimes silly cheap air fares. When the weather is lovely, like it is now, our country is as desirable a holiday destination as anywhere. 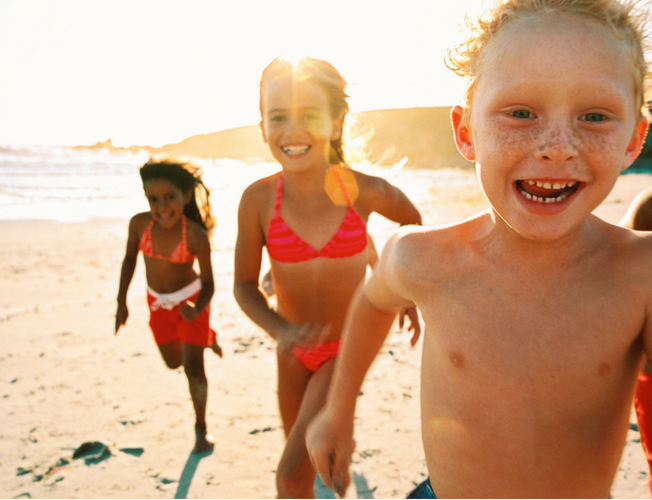 What do you think of, when you think of the perfect family holiday? Let’s see…sun, sea, beaches, beautiful countryside, tasty food, fun activities for adults and children, music, a few bevvies…anything else? For most, this would hit the spot. 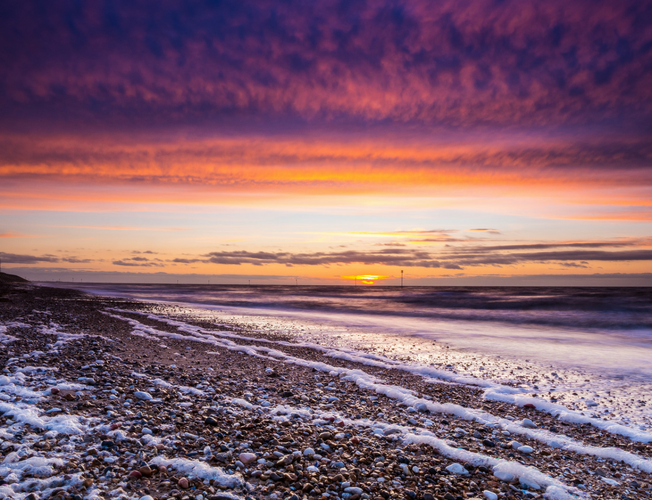 At Searles Leisure Resort we offer all the above, and North Norfolk offers even more, right on our doorstep. Well, we can’t control the sun – but it seems to be sticking around this summer. Quick, touch wood. When you book your summer holiday at Searles this year, you won’t want to leave – and here’s why! It’s the only west-facing resort town in East Anglia. This means it gets more sun than the others and is known for spectacular sunsets. It’s also one of very few on the east coast where the sun can be seen setting over the sea. In fact, another name for it is ‘Sunny Hunny’. At Searles, we’re a stone’s throw from the town and, of course, the beach. The beach is what it’s all about. There’s no way you’d come to Hunstanton, a place known for being a sun trap and not spend a few lazy days on the sand. Hunstanton Beach is lovely, and a true family favourite. It has two main sections, each different. The part nearest the resort is shingle, and further along (by Old Hunstanton) it’s pure sand. There’s many rock pools to explore and fossils to find, always a magical thing for young visitors. Also, have a look at the unique pink and white striped cliffs. Very pretty. The town itself offers all the classics you’d expect, including amusement arcades, mini golf, delicious fish & chips, a sea life sanctuary and water sports, such as windsurfing or paddle boarding. 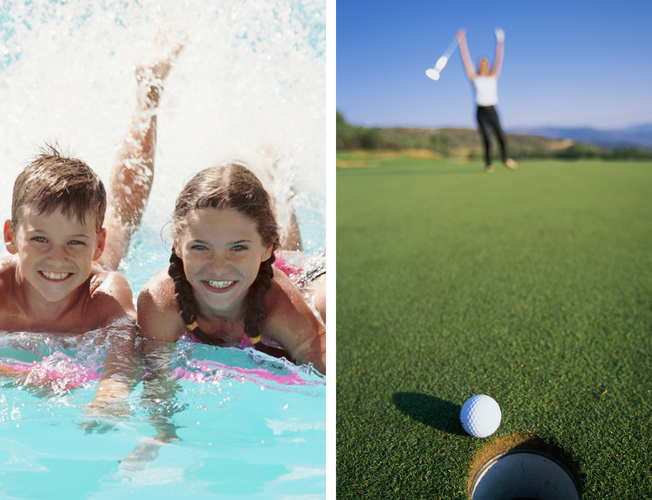 We have a brilliant range of facilities the whole family can enjoy – genuinely. We say mostly, because some things don’t have an age limit. This isn’t everything either, Searles has an indoor pool and indoor splash pool, plus a great 25m one outside, tennis courts, indoor and outdoor entertainment (including large performances and shows) and mounds of your favourite foods. After seeing the facilities above, you’re thinking – that’s easily enough to keep us all busy. Perhaps it is, but at Searles we like to deliver fun by the spade (pun intended). Our motto is creating happiness for all ages! So, let’s ramp it up, shall we? 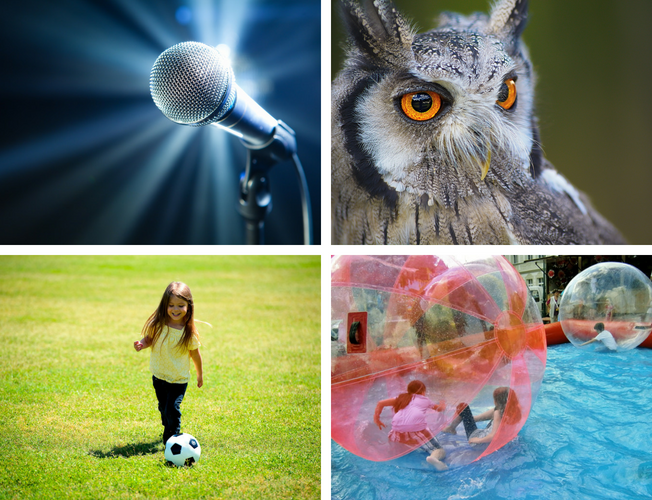 Each summer we make it our mission to offer new events and activities that everyone will love. We’ll never let things get boring! Water zorbing – can you walk on water? For a full low down check out our Six Weeks of Summer ! page below. Or simply book a holiday. We look forward to seeing you, happy holidays!